He has a moustache. And is a professor. He must know what he is talking about. Despite repeated requests, Professor Winston has consistently failed to provide any evidence that new cycling infrastructure in London – which amounts to only a small reallocation of road space on some 12 miles of roads in the entirety of London – has been been responsible for such a pollution increase, or to provide any kind of causal connection whatsoever. His comment has been retweeted 424 times, and doubtless has been linked to many more, including this endorsement from the Street Policy Officer of London Travelwatch. If we look at streets where cycling infrastructure has been built, there is no distinguishable pattern of increase in pollutants following completion in May 2016. PM10 monitoring on Upper Thames Street, for the last three years. Graph produced via the LondonAir website. There are fluctuations, but nothing out of the ordinary – the spike in January 2017 corresponds approximately to a spike in January 2015, long before construction had even started, and matches a period of London-wide air pollution that (oddly enough) affected London boroughs where there is no cycling infrastructure at all, including Kensington and Chelsea. I’m sure ‘the eminent professor’ wasn’t the first person to make these kinds of outlandish claims, but as the Professor of Science and Society at Imperial College, he may well have been the first one to give them some serious credibility. 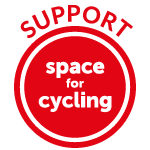 Claiming that ‘cycling infrastructure causes pollution’ – something that had once been met with derision – has now passed into mainstream debate, coinciding (entirely unsurprisingly) with the first genuinely significant reallocation of road space for cycling, anywhere in the UK. My Lords, in view of the success of the conference on climate change over the weekend, will my noble friend have urgent discussions with Transport for London about the appalling increases in congestion and pollution caused by the introduction of bicycle lanes, which are in use in large numbers only in the peak period? Will he at least ensure that other traffic can use those lanes during the course of the day? In the present situation on Lower Thames Street, for example, they are likely to die from carbon monoxide or other poisoning from pollution any moment now. a principal cause of the excess nitrogen dioxide in the air of Westminster and along the Embankment is those wretched barricades that were put up by the former mayor. Is there not a case—I say this with respect—for making local authorities take into account the congestion effects of their crusade to remove road space in favour of wider pavements and more cycle lanes? Someone said to me the other day that there are fewer cars entering central London but that pollution is going up. Well, obviously it is going up because pavements have got wider and road space is being turned over to cycle lanes. The Mayor of London cannot have it both ways. If he wishes to reduce air pollution, he and others need to take care when they are seeking to remove highway lanes. I just wanted to ask briefly about air quality as well. Over the last few years there has been more than a 200% increase in the number of roadworks on London’s roads. At the same time, we have bike lanes on our principal highways, which are administered by TfL, rather than the subsidiary roads, which are the province of the individual boroughs. Looking at these issues overall, do you think that we might more easily be able to meet the very welcome rules on air quality if we were to revisit exactly how the provision of bike lanes had been implemented and revisit the regime that allows so many roadworks to operate in London at the moment? Disappointingly Sadiq Khan did not challenge this connection, and indeed reinforced it, emphasising that he is indeed looking into how cycling infrastructure is implemented, and how it operates. And one of the foremost proponents of the ‘cycling infrastructure causes pollution’ theory is Labour MP Rob Flello, who sits on the House of Commons Transport Committee. In the first session of that committee’s Urban Congestion inquiry on the 9th January, he argued that removing cycling infrastructure in London would ‘speed up the traffic’ and therefore reduce pollution. surely one of the answers is to reinstate some of the tarmac that has been removed. It speeds up the traffic and perhaps does more for air pollution in places such as London than getting people on to pushbikes. When an argument is that reductive, it wasn’t surprising that, by the fourth session, it wasn’t just cycle lanes that were ‘causing’ pollution – it was bus lanes too. Robert Flello: On the point about bus lanes—I nearly said cycle lanes for some reason—and other forms of restricted lane use, it always makes me smile that a lot of these were introduced, and indeed continue to be introduced, seemingly without any evidence. It just seems that they are a great idea and therefore we must do them. It was reassuring to hear from a couple of people on the panel that evidence is now being gained as to whether they are a good idea or not. It does not seem necessarily to have stopped the flow of restricted use lanes across the country or in central London. Is that correct? Val Shawcross: I cannot answer for every decision that the previous Mayor took, except that we are totally in agreement that, as the population of London intensifies in the future, we need to transform the city. The most efficient way of moving people around, as well as the healthiest and lowest emission way, is walking, and then cycling and then public transport. We need to be pushing this. Robert Flello: I hear what you say, but the reality is that if traffic is now moving more slowly as a result, that is surely creating more pollution and is therefore unhealthier. And this argument was repeated in the fifth session, where the same points were made to the Under Secretary of State for Transport, Andrew Jones. Robert Flello: We have also had evidence that, even though, for example, bus and cycle lanes create congestion, Val Shawcross is still keen to go ahead and put more of those types of schemes in London under TfL. Do you not think there is a contradiction between gathering evidence that shows that something does or does not work and then perhaps funding schemes to just do more of the same that does not work, in terms of tackling congestion? Andrew Jones: I am not sure that is right. I do not really agree with that, to be honest. We should be gathering information and sharing good practice. I see that as a developing role for the Department in lots of different ways, but that does not mean to say that we should cut across local decision making. I am aware that the cycle lanes in London have caused a degree of controversy. TfL can come and speak for themselves, but I would suggest that they are thinking a long way ahead in relation to how they can encourage modal shift. They are trying to provide the infrastructure, looking way into the future. Robert Flello: But if that is creating congestion, which it is seen to be doing, that is not controversial; it is evidence based. Traffic levels have fallen, yet congestion and pollution have got worse. (There’s a good summary of this session on the LastNotLost blog). pollution is going up. Well, obviously it is going up because pavements have got wider. And of course we also have the claim – apparently being taken seriously by government – that speed humps should be removed to improve air quality. What all these contributions have in common is an extraordinary belief that making walking, cycling and public transport less convenient, more dangerous and more unpleasant will reduce pollution. It is a belief that the only way to reduce pollution is to prioritise the flow of the vehicles that are actually causing the pollution, at the expense of those modes of transport that aren’t polluting at all. Put like this, it is utterly absurd, yet it is now repeated constantly. Its logical conclusion is that if we massively expanded the amount of road space available to private motor traffic in UK towns and cities – removing bus lanes, reducing the width of pavements, ‘re-motorising’ pedestrianised streets and squares, even building roads across parks and demolishing buildings, or constructing gigantic flyovers right into the heart of our cities – air pollution would fall dramatically. But some of the most polluted cities on earth are the ones that have employed precisely this strategy. Building seven ring roads has not solved Beijing’s air pollution problems – it has caused them. Increasing the amount of space for motor traffic – attempting to ease the flow of congested motor traffic – simply draws in more and more of that motor traffic, and more and more pollution. Expanding space for polluting private motor traffic, or attempting to smooth the flow of it, is the exact opposite of sensible policy. If we’re serious about tackling pollution (and congestion), we have to prioritise the modes of transport that solve the problem, not prioritise the ones that are responsible for it in the first place. This entry was posted in Congestion. Bookmark the permalink. A key component of this way of thinking seems to be the mistaken belief that transport demand is not elastic, when it is in fact very elastic indeed. If you assume that there is going to be a fixed number of vehicles, then of course you want them to pollute as little as possible given that constraint. But if, as the great body of evidence actually shows, that more roads means more cars (and more cycle lanes means more cycling) then it makes no sense at all. In short: wider understanding of induced demand necessary? It seems like induced demand is a state secret and no one in government has ever heard of it or denies its existence. Making it easier to drive means more people drive. More people driving increases congestion. It seems blindingly obvious. I am shocked that Winston could adopt such a knee-jerk, short term attitude to the problem of city centre pollution. But then, he’s always been a bit of a media luvvie and the genetics programmes seem to have dried up……. Man, you sure have some idiots for politians over there…. Don’t worry, we have them too in NL, but just not as much on this subject. It’s the will of the people. I think a small part of the reason for the popularity of this meme (aside from the usual car-addiction plus associated confirmation bias), is the more politically-neutral phenomenon that people just _love_ any claim that sounds ‘counter-intuitive’. To the extent that they often don’t stop to think that just maybe the reason it runs against the ‘obvious’ answer, is because it’s not actually true. If you can construct a half-plausible ‘non-obvious’ argument that contradicts the obvious one, people will have a strong bias towards believing it without checking the facts, it seems to me. It’s akin to the claim I’ve heard military historians make, about how leaders attach excessive weight to ‘secret’ information as opposed to obvious things that everyone knows. I wonder why noone has suggested to these ‘enlightened’ politicians that they should restrict entry to these places to electric vehicles only. Voi la! local air pollution drops substantially. There are people that see a problem and look for the solution to the immediate problem e.g. Solution: Build a bigger road, make the cars go faster. This seems to me to be associated with a conservative mindset. I can’t get my head around not being able to think further than this. Especially when one is in government, which is the one place where planning ahead might be possible. I kind of call this “first step thinking”. I don’t know if it is caused by laziness or a plain inability to think very well. I think its probably possible to train people to think a bit further ahead, but I suspect our education system doesn’t, and it is to the detriment of the country as a whole. Solution: Why is it congested? What with? Maybe we should be using alternatives that are more inherently efficient.What do we want our city to look like in the years ahead? I find it odd that Rob ‘logical positivist’ Flello is so keen to demand ‘evidence’ for bus-lanes and cycle-lanes while requiring no such evidence for car lanes. Why does the status quo not require any evidence to support it? Where is the evidence that the existing system of streets dominated by motorised vehicles and the private car in particular, is good for pollution or anything else? Why does he think the burden of proof should be placed on the other side from himself and the motorised-vehicle lobby that he represents? Given the pollution levels in London before any cycle lanes were put in, and given the contrast between the UK and the Netherlands on things such as obesity, surely the burden of proof should be placed on the motor-lobbyists like Flello? naturally like your web site however you have to take a look at the spelling on quite a few of your posts. Many of them are rife with spelling problems and I in finding it very bothersome to inform the truth then again I’ll definitely come again again.